Polished concrete is becoming an increasingly popular option in commercial environments. This flooring type, which was traditionally seen as only suitable for back-of-house applications and home centres, is now a sought after aesthetic thanks to its affordability, ease of maintenance and the look and feel it provides. Data from America shows that polished concrete accounts for almost 5% of total commercial hard surface flooring, or just over 7,4 million square meter, making it a $300 million industry. Designers and flooring contractors are increasingly familiarising themselves with polished concrete best practices, as everyone from home depot style companies to forward-thinking tech start-ups invest in concrete flooring for their businesses. The number of clients who are opting for polished concrete floors as a design element continues to grow. In this article, we look at what data from overseas shows and get input from local polished flooring experts. How popular are concrete and polished concrete in SA? Richard Hugh, Technical Sales Manager at Superb Flooring Systems (part of the Panmixers SA Group), says that polished concrete floors are becoming increasingly popular in South Africa. “Our clients, who are flooring contractors, are seeing a drive from their customers to install polished concrete floors, especially in the industrial and commercial markets. In retail buildings, the benefit of a polished concrete floor is its look, feel, ease of maintenance and longevity. In the industrial market, however, a polished concrete floor can change the way a floor behaves because it doesn’t attract dust and is seamless, which means that forklifts can operate more efficiently. 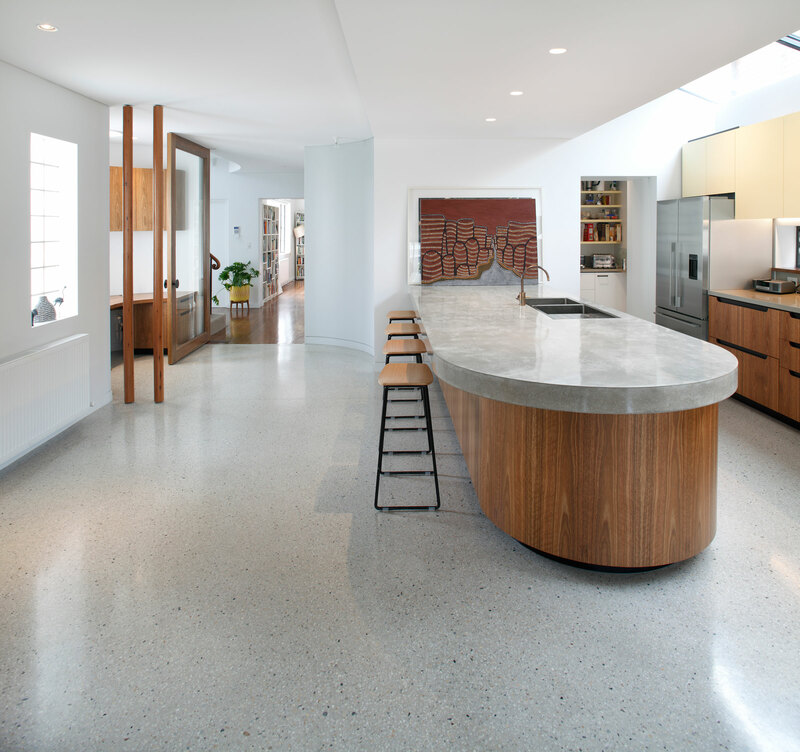 There is a very real and practical need for polished concrete floors,” says Richard. Brian Clark from Diamond Products agrees, “Polished concrete has grown in leaps and bounds in Southern Africa in the past five years. I think initially polished concrete was seen as only suitable for upmarket residential applications. With the understanding and use of satin finishes in commercial buildings, demand for polished concrete has grown rapidly in both of these markets. It offers so many advantages over many other flooring systems, especially in our climate,” says Brian. How does this weigh up with reports from the US? Senior associate and design director at Ted Moudis Associates, Jeff Knoll, told floordaily.net that around 40% – 50% of the flooring that his firm does (excluding raised access flooring) is concrete. Rodney Stone from Environetics, which works mainly in the corporate and retail sectors, reports that polished concrete makes up 10% to 15% of the flooring that his firm specifies. Polished concrete flooring is displacing other flooring categories at varying degrees, but carpet tiles and resilient floors seem to be affected the most. CEO and owner of DSB Plus, Mike Putton, says that in his region (the San Francisco Bay Area), he sees the tenant improvement sector as the biggest market for polished concrete floors. According to Mike, this floor is often combined with carpet tile. “A lot of circulation corridors, high profile areas, and lobbies are going with polished concrete, and where the employees live and work are islands of carpet tile. Number two is higher education, and I would say equal to that is retail. Retail here on the West Coast has embraced the polished concrete look,” says Mike. Polished concrete fits in with the green movement. It is considered a sustainable product and can even earn green rating points because of its long lifecycle, neutral impact on indoor air quality and its ability to reduce lighting costs thanks to its reflective properties. When a polished concrete floor reaches the end of its life, it can simply be overlaid with another floor instead of being ripped out to end up on a landfill. Are applications limited to the “industrial chic” aesthetic? While the “industrial chic” trend catapulted polished concrete into the commercial space, the concrete look is no longer considered only industrial. This type of floor matches the industrial chic aesthetic, but the way the rest of the space is designed and decorated will impact the look and feel of the floor. Polished concrete floors can also be used to create a much more sophisticated and refined look, which makes concrete a universal material. The typical polished floor finish when working with an existing floor or a new pour ranges from 400-grit (satin finish) up to 3000-grit (highly polished). Highly polished floors provide a more sophisticated look and allow for reflectivity of lighting. For colour variation, stains are used to produce different looks. Some flooring contractors and designers are using stains to make their polished concrete floors mimic marble and wood. Patterns can be trowel-cut into the concrete floor and elements such as brass and zinc strips can be used to create patterns. Flooring contractors in some parts of the US report that most clients still love grey. In this case, polished concrete is used as an overlay to provide the same colour and look as polished concrete, but without the blemishes and uneven floor. Contractors in other regions, notably the Southwest, say that colour and staining are very popular among their client base. Principal at DPS Design in Albuquerque, New Mexico, Emily Allen says that designers need to put in a lot of work to fulfil a design request that uses colour or staining. “The challenge for us with coloured concrete in any capacity is the preciseness of it,” says Emily. Quintin Booysen, Marketing and Sales Manager and Panmixers, warns architects about the problems which may occur during a polished concrete flooring installation. “We have found there are companies who claim to install a polished concrete floor without mechanically polishing the concrete, which gives a natural gloss / reflection from the concrete itself. Instead, they are taking short cuts and attempting to achieve the shine by chemically giving it an artificial shine. This is causing a misconception to the client and architect as the shine will eventually wear of. It is crucial that the industry adopts a specification standard which the architect can specify. This standard would become the Agreed Floor finish between himself and the Installer before the work is carried out,” says Quintin. 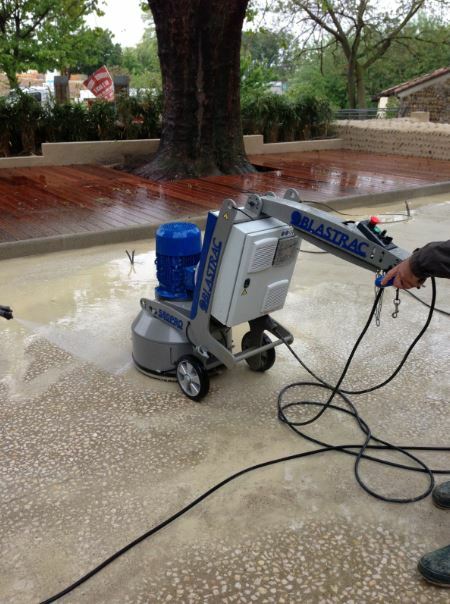 The conditions of each slab will dictate the cost of a polished concrete floor. It is for this reason that designers and contractors agree that a definition of what constitutes a polished floor needs to be established. “I think the biggest issue with concrete is that everyone has a different definition of polished concrete,” says Randy Weiss, president of RD Weiss Companies, a commercial flooring contractor headquartered in New York. To remain competitive in this growing segment, flooring contractors are investing in, or at least renting the necessary equipment for the duration of polished flooring projects. The transition to offering high quality work extends beyond picking up polishing equipment and hiring extra labour. The most successful companies are those who have dedicated divisions that focus on polishing, moisture control systems and floor levelling to keep up with this growing demand. With the number of companies launching new products to make the process smoother, better, faster and quicker, we expect an increase in this flooring segment in the future. Full thanks and acknowledgement are given to www.floordaily.net, www.diamondpc.co.za, www.mactool.co.za and www.panmixers.co.za for the information in this article. For more technical articles, sign up for our newsletter: http://www.buildinganddecor.co.za/register/.